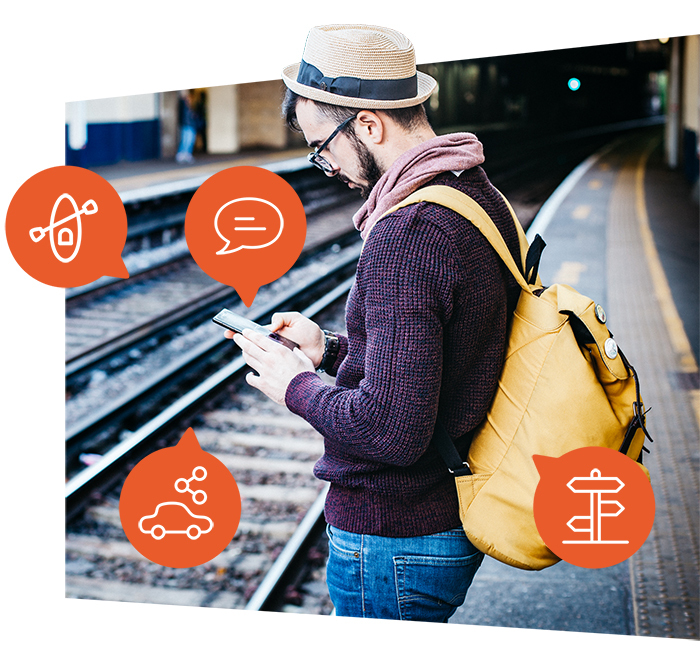 MASAI aims to integrate European travel systems, positioning concierges as key points of connection between consumers and services, and creating a true door-to-door travel experience. Concierges can include both boutique agencies and full-service operators using human agents and fully automated systems. MASAI helps them package custom travel plans; select personalised offers for individual clients; and enhance continuous real-time customer service. Want to expose your services ? Why should concierges join MASAI? MASAI is predicated on the belief that concierges play essential roles in travel planning, booking, and support, by connecting travellers with services. MASAI takes an expansive view of concierges, encompassing all kinds of travel concierge companies, but also all means of interacting with travellers—human agents, chatbots, artificial intelligence systems, and beyond. MASAI concierge pilots network with service providers, partner on development of apps and other tools, and boost their business profiles. The registration on masai.solution is free of charge. To implement the tools you need to join M2C. Who can develop MASAI concierge apps? Concierge apps are MASAI modules that connect travellers with MASAI services. Any participating developer, concierge provider, or service provider can develop concierge apps under the MASAI specifications. We encourage diverse apps and services that meet all kinds of targeted traveller needs. How can I use MASAI's tools for concierges? How can I get help to use the MASAI tools?